Garnet Johnson serves as the Director of Remediation Services for the firm and operates from our Alma, Michigan office. 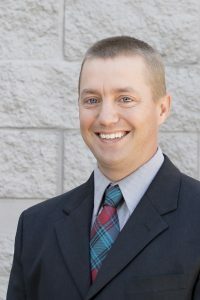 He is primarily responsible for the management of Triterra’s Investigation and Remediation services group, which includes overseeing investigation and remediation projects, managing subcontractors, evaluating innovative and cost-effective remedial strategies, mentoring staff, and attracting new clients. Garnet has a thorough understanding of Part 201 (Environmental Remediation) and Part 213 (Leaking Underground Storage Tanks) regulations, which allows him to evaluate sites and determine appropriate, effective, and economical solutions to environmental situations that arise from our client’s operations. Garnet has more than 15 years of experience in a wide array of environmental services, including specialization in leaking underground storage tank sites, due diligence services, and property/brownfield development. He is focused on providing timely and quality services to clients when environmental needs arise through our creative, practical, responsive, and effective approach. His investigation and remediation work has resulted in obtaining numerous regulatory closures throughout Michigan. Garnet’s specific project experience has included: over 75 contaminant investigation projects, over 300 Phase I ESAs, over 50 Phase II ESAs and BEAs/Due Care Plans, along with numerous underground storage tank removals and hazardous materials inspections. Garnet holds a Bachelor of Science Degree in Biology from Alma College (Alma, Michigan). In addition to his studies and experience, he maintains professional certifications as a licensed State of Michigan Asbestos Building Inspector.